Are you fed up with an untidy backyard or garden and want a new look? Hire Landscaping Services London the professional garden design service who can help create the perfect garden to suit you and your lifestyle. Nothing so too much for us we can help from small courtyards to large and unruly plots. Our gardening experts can help construct an easy to maintain space for you to keep under control and enjoy all year round. Our gardeners are qualified at handling all types of projects. If you need guidance on planting new flowers, plants and shrubs we can help. We know all about all types of plant life and what suits your soil type and take into account how much care you are prepared to put in for the perfect garden. Our services are an affordable option and will appeal to all finances. We supply and safe service that is done to a high standard. From a garden clean up to the landscaping job we can handle it. You don’t have to lift a finger. 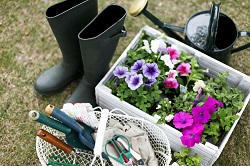 Contact us now for further help and details about our affordable London gardening services 020 8610 9127. Having a nice garden can make all of the difference in your life. 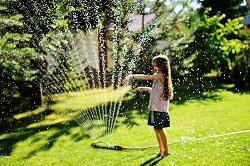 It gives you the opportunity to have some outside space to enjoy when the weather is sunny and warm. Our garden design projects come in all ranges from easy to care for to elaborate designs that need a lot of special care and attention. We can give you the garden of your dreams. Our gardening experts are the best in the area and can turn a messy overgrown garden into a beautiful picturesque area to enjoy and relax in when you have free time. Our services cover everything from the major garden clean up where we remove the weeds, and unwanted rubbish to styling a new renovated garden of your choice. We use the best quality products when planting new shrubbery and flora. Our gardeners London use high quality and safe equipment to get the revamp service done quickly and effectively. Our garden design services offer all the support and advice you need when creating a new garden, so call us now 020 8610 9127. Our specialists can construct new patios, using various materials including decking, decorative slabs and stone chips. We have plenty of solutions to make a low maintenance garden that looks good at all times with the minimum effort. Hiring the best experts to make over your outside area will be your best investment. You can make use of whatever size spot you have and turn it into a lovely extension of your home. What can be better than having an extra space to eat and sit when you entertain family and friends? We can do all or just part of garden revamp the decision is yours. Are you a business and need your outside plot turning into an impressive attraction to make a good outward show to clients. Or are you a homeowner wanting some help tidying up and making some new alterations that can improve the space you have outdoors to use anytime. For families with children and pets it can be designed with your in mind, safe and plenty of space to play. Or a couple who want colour and attractive features such as rockeries, ponds, brick built BBQ’S or waterfall we are here to lend a hand. Hire our landscaping team now Landscaping Services London for the best service. For a full list of our affordable services call 020 8610 9127.